THE BODY WASH YOU DIDN’T KNOW YOU ALWAYS WANTED. 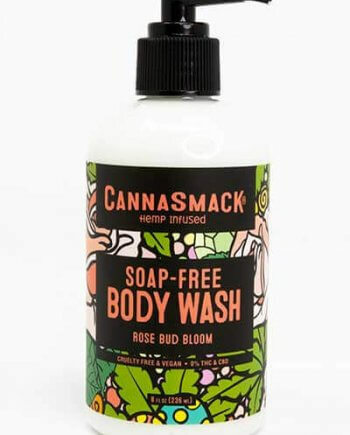 CannaSmack Soap-Free Body Wash cleanses skin by removing excess dirt and oil. Traditional soaps are harsh, stripping skin of nutrients and moisture which artificially dehydrate the skin. This residue-free formula provides deep hydration while protecting the skin’s natural micro-biome and PH-balance. Making the adjustment should be rather easy, but it’s important to have the right expectations going into your bathing experience. Don’t expect a foam. Why? We’ve eliminated the chemical ingredients that produce suds. Instead, experience a gentle lather from our nutrient-rich oil and surfactant based Soap-Free Body Wash.
Our Soap-Free Body Wash is great for even the most sensitive skin. No need to hesitate, confidently wash up from head to toe. Infused with premium Hemp Seed Oil and Prickly Pear Seed Oil, this powerhouse blend bestows soothing hydration with Vitamins A, B, D, E, and Omega 3&6 Fatty Acids. 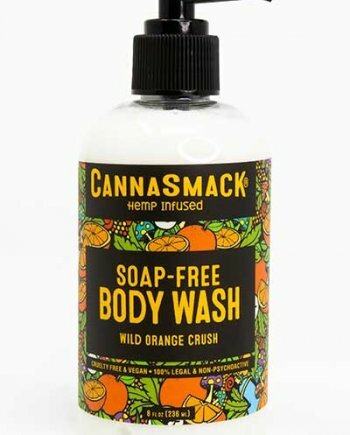 CannaSmack products contain ZERO filler ingredients. When it comes to your average skin care products, cheap bulk ingredients are typically used to dilute a formula, for sake of maximizing volume. This is done in an effort to make the product more affordable to the manufacturer; typically for the gain on behalf of profit margins. 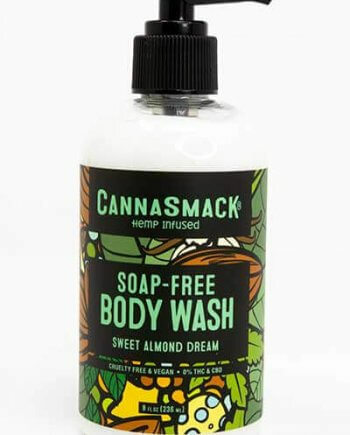 CannaSmack proudly creates its own formulas with careful consideration to the optimum ratios of both the carrier and active ingredients for best overall results. It’s common to diminish the quantity of expensive ingredients. The requirements for labeling ingredients leaves room for possible deception. Despite being organized in an order that denotes the greatest to least amount of the ingredient, any ingredient listed towards or at the end of an ingredient list can contain minute amounts of the ingredient. 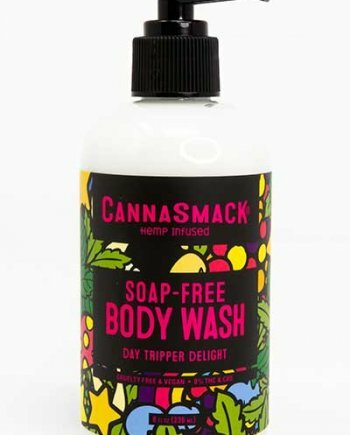 CannaSmack’s proprietary blends are made with the highest grade cosmetic non-comedogenic oils (they won’t clog your pores). Poorly sourced ingredients sneak their way onto these ingredient lists. Unsuspecting buyers are left unaware that the products they are putting on their skin contain ingredients that come from less-than-desirable origins.